Huawei has confirmed it'll unveil two new mobiles at CES in January. Its first Windows Phone handset, the Ascend W1, will make its debut alongside the Android-running Ascend D2. 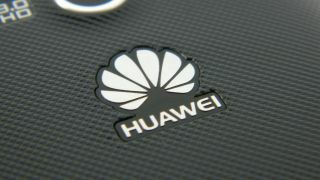 Huawei's CEO Yu Chengdong confirmed both handsets on microblogging site Weibo. He also expressed some doubts about the Ascend D2. He's worried it'll be overpowered, and hence too expensive, according to his post. It certainly sounds like a beast. It's rumoured to have a 5-inch, 1080p display, which would put it on a par with the HTC J Butterfly. Samsung and LG are also reported to be readying handsets with similar screens for next year. But that's not all. The D2 will also have a quad-core 1.5GHz processor, and a 13-megapixel camera. So we could well have a challenger to the Galaxy S3 and HTC One X+ waiting in the wings. The Ascend W1, however, is a low-end Windows Phone 8 affair. It'll have a 1.2GHz processor that's dual-core, 4GB storage, 512MB of RAM, and a 5-megapixel camera. So it's not going to set the world alight, but should be considerably cheaper than the Ascend D2. CES 2013 kicks off on January 8. We'll be on hand to bring you all the news as it breaks.